This is a behind the scenes look on the Conquest forums detailing loot factors that are taken into account during loot council disputes. Some readers expressed interest in learning more about the specifics and here they are. Loot is the single biggest headache involved with raiding. If you are a person that values yourself over the guild, then you want to reassess why you are in this guild, or why you want to join this guild. Ask yourself “do I want gear to raid or do I want to raid for gear?” Hopefully, you are a person who will choose the first option. If all you want is to raid for gear, then Conquest is probably not for you. Nothing can avoid disagreements over gear. The Loot Council itself has an odd number of members specifically to avoid a deadlock on a piece of gear. Please keep in mind; we will do it as fairly as possible. If you felt you were treated unfairly and made a mistake, place yourself in an officer’s position and look at it from that angle. If you still feel we error, please get in touch with Mallet and discuss it with him. Unfortunately, we cannot reverse decisions unless the item was erroneously awarded (as in mislooted, which can only be fixed via tickets). But your thoughts will be taken into account for the future. Say Interested – If the item is a significant upgrade for you in your current spec and role. Best in slot also applies. 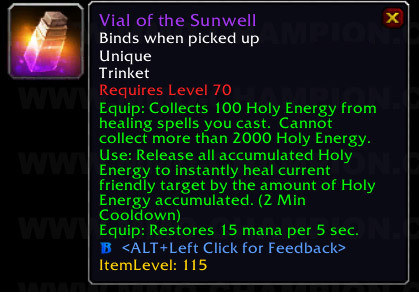 Say Pass – If the item is a minor upgrade or you’d like it for an off spec. Say nothing – If you have zero interest at all in the item. A countdown will be applied. At the end of it, there will be a dash (-). Interest expressed well after the dash will not be factored into account (unless there was no one interested at all during the countdown). Note: If you equip a green to ninja gear and attempt to influence the council, you will be gkicked. 5 members consists of the Loot Council. They each have their own individual personality and are 5 different players. Each council member has 1 vote used to decide who receives an item if there are multiple players interested in an item. Current rank and position: Initiates and Subs will not get loot assigned to them if there are members in the raid with Raider status that has interest. This is to prevent people from joining, getting a few pieces of loot, and then leaving. It is basically a form of DKP. It forces people to have a vested interest in the guild to receive gear. This may be overlooked based on performance, attendance, or the amount of loot already received during that raid. To attain Raider status a person must be a member for a few weeks and attended (or been on vent and available) a minimum of three raids per week. Attendance: Raid attendance is extremely important. If players aren’t here to raid, they’re not going to be able to contribute. Remember that loot drops will be awarded in order to be as effective as possible. This means there is a higher chance that a player who attends 3-5 times a week will get an item over a player who only shows up once a week. Effectiveness: Is it effective for the guild as a whole? Will you be able to utilize it and ensure that it does not become useless? We want to ensure that items aren’t going to be wasted by being awarded to alts or off specs unless there is no main interest. Paladins looking to obtain DPS Plate gear aren’t going to get it if they’re in raids to heal. It does not maximize the effectiveness of the item if it is not being used. 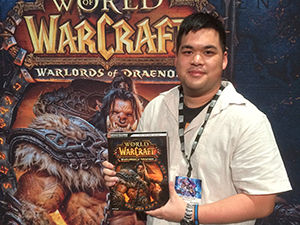 Current items: A player still wearing Heroic or Normal Naxx level gear is going to have a higher chance of being awarded an item. Keep in mind that this will not always be the case. In certain situations, while the item in question may be a larger upgrade for a newer player, it could be awarded to a veteran player who has been in there for weeks or months on end trying to get the item. Equal distribution: Loot will be distributed as equally as possible to the appropriate classes that need them (at least, we’ll attempt to). It is unlikely for players to receive more than one item from a boss. But it is entirely possible for players to receive multiple items in one run. We cannot control what items a boss drops. The last thing we want to do is shard a piece. Set bonuses: With certain classes, some T7.5 bonuses are just plain awesome to have. If you have an odd number of set pieces (like 1 or 3 set pieces), we want nothing more than to help activate them. The main tanks in the guild are able to talk amongst themselves and figure out who needs upgrades over the other first. They do this purely through communication and cooperation by figuring out their weaknesses and identifying the items that benefit them the most. When tank items drop, they are able to compromise. I encourage other players to do the same with the other classes or other players wearing similar armor types. As an example, I try to work with the other Priest and clothies to see who can benefit more. 90% of loot drops is handled informally among our members. They all take turns passing and are aware who can benefit items the most. It’s the 10% where loot council has to step in and make a decision. The trend here is that it ends up mostly being trinkets, rings, or weapons. * Note: Anyone is free to take this post and modify or use accordingly for their own guild. Yes, you have permission. Don’t have to email and ask.